Your aircon often breaks down in the most inconvenient of places. While you’re doing the school run, or perhaps when you’re running late for work and we all know how difficult a commute in Queensland is without a working air conditioner. 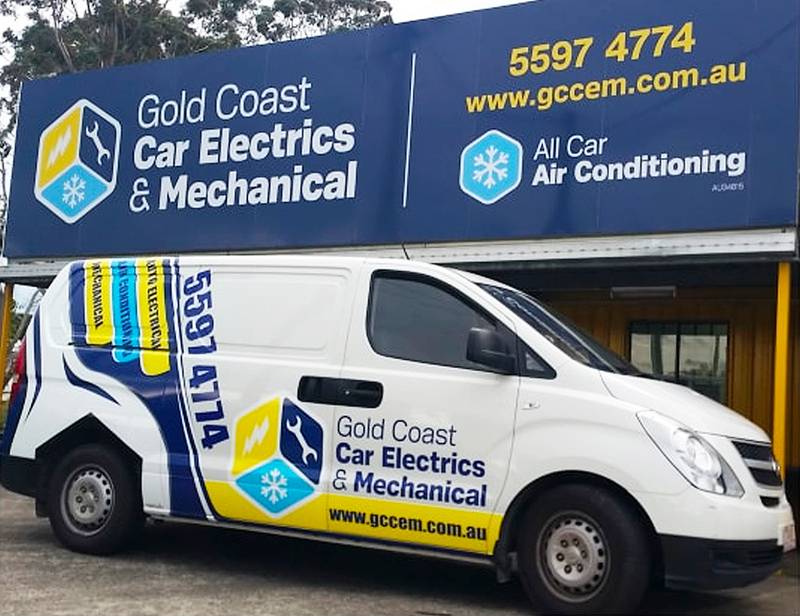 At GCCEM, we understand people are busy and may not have the time to come into our shop to get their aircon serviced. That’s why we’ve got our own mobile air conditioning service on the Gold Coast, servicing vehicles out on the road. Let us come to you. Our fully equipped breakdown vehicle can carry out many repairs on site, no matter whether you need your aircon fixed or some basic repair work done. Helensvale… and the surrounding suburbs. Servicing earthmoving equipment and equipment on-site saves on downtime by visiting you where you are. No need to drive to come to us; simply give us a call, and we will schedule a time to be there. This works out to be more cost-effective for you, and gets your team back on the job in comfort quicker. We can come to your home, or your workplace – wherever is the most convenient location for you. Let us know the make and model of your car ahead of time, so we can ensure we have the right gear packed for you. In general, our mobile service vans are very well kitted out and we have most of the equipment on board to deal with a huge variety of AC problems. Our mobile service also covers diagnosis, repair and installation to get you back on the road. 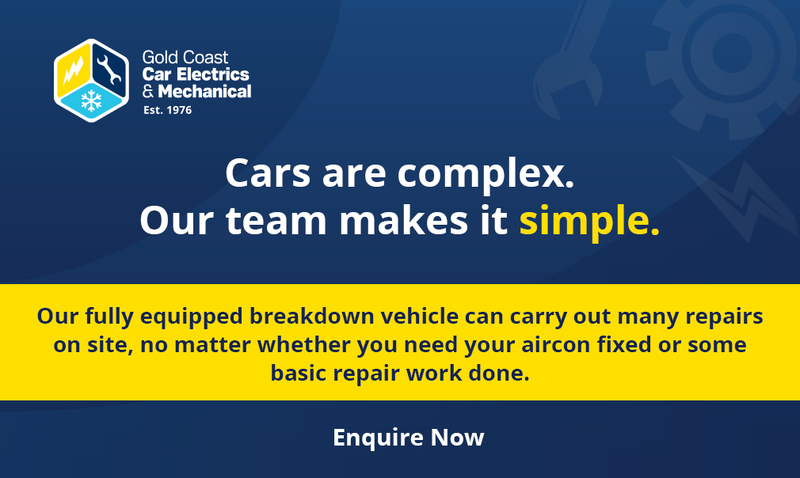 If you have any questions, or you’re ready to call us out for our mobile car aircon re-gas services, give us a call on (07) 5597 4774.